As Norse and Frank meld into a new people — the Normans. Their love will burn brightly through all the ages to come . . .
SPECIAL NOTE: Bowing to the wisdom of placing all works under a single name, please note that my "Anita Gordon" novels will now appear under the name "Kathleen Kirkwood." Hopefully, this will give the trilogy better discoverability and less confusion for everyone. Congratulations to Kimberly Reeland for her winning entry “Hávarðr,” Old Norse for “High Guardian.” It is a perfect name for my hero’s sword for, as you will read, Rurik served as a member of the Byzantine Emperor’s elite personal guard and foiled a palace plot that would have cost the emperor his life. Many thanks to everyone who submitted an entry. I’m pleased to announce that THE VALIANT HEART is nearly ready for release. However, one small issue remains. My hero’s sword needs to be renamed. Originally, while researching my HEART trilogy in the late 1980’s, I culled authentic names for the Norsemen and their weapons from the ancient sagas and archaeological materials—the same resources Tolkien drew on. Desiring an appropriate, but not too “bloody” or grisly name for my hero’s sword, I dubbed it “Sting.” You can probably see my concern right away. With the advent of Peter Jackson’s recent Lord of the Rings and The Hobbit movies (with two more Hobbit movies to come), readers, upon seeing the sword name “Sting” in VALIANT might instantly envision the small elven sword brandished by Bilbo and Frodo which bears the same name—not good for my 6 foot- plus hero, Rurik, a Dane who once served in the elite guard of the Byzantine emperor before joining his father in the new duchy of Normandy. His warrior sword needs a better warrior name. 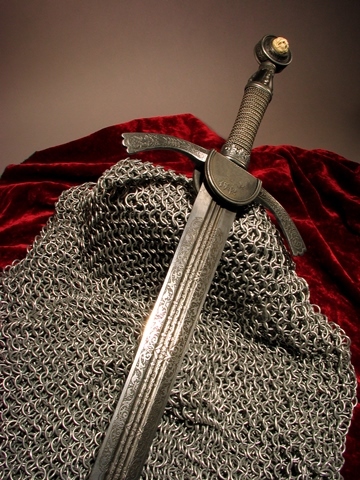 Join in the fun and help me rename Rurik’s sword. Send your suggestions to swordcontest@outlook.com. 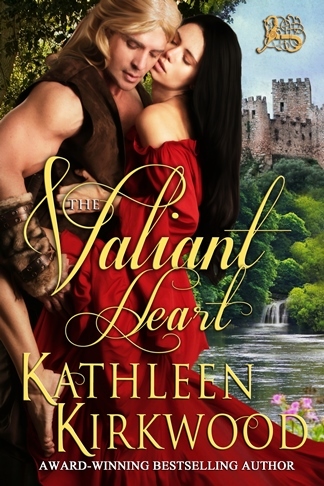 The winner will receive a free copy of the THE VALIANT HEART eBook. The contest ends on May 13, 2013.